Word has been received of the death of long-time Grace Brethren pastor, J. Ward Tressler, 94. According to his nephew, Roland Maust (who is pastor of the Grace Brethren Church, Uniontown, Pa.), he was involved in ministry yesterday (January 9, 2011) at Grace Community Church, a Grace Brethren church in Fremont, Ohio, where he served on staff. He participated in the evening service, returned home with his wife, Agnes, and died quietly at home. Tressler served as pastor of Grace Brethren churches in Chico, Calif.; Kokomo, Ind. ; Altoona, Pa.; Dryhill, Ky.; Lansing, Mich., and Dayton, Ohio, in addition to the Grace Brethren Church in Fremont, where had a long tenure as senior pastor. 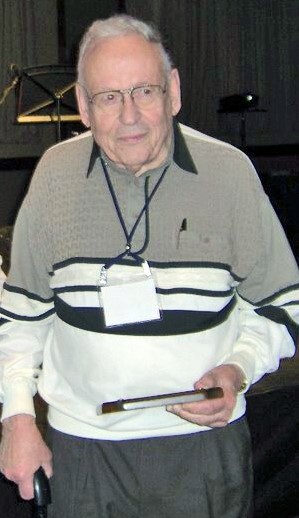 In 2006, he was honored by CE National with the Senior Medal of Ministry. That same year, he and Agnes celebrated their 60th wedding anniversary. Visitation will be held on Thursday, January 13, from 2 to 4 p.m. and from 6 to 8 p.m. at Grace Community Church. The funeral service is Friday, January 14, 11 a.m. at Grace Community Church. 900 Smith Rd., Fremont, OH 43420 with viewing at 10 a.m. prior to the service.